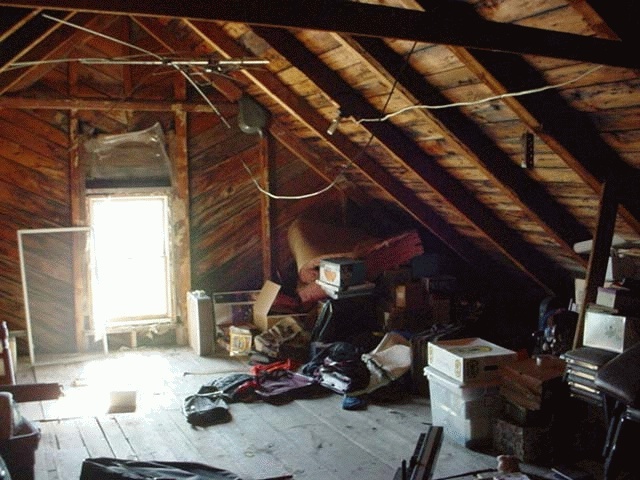 Clearing Out Your Attic For Cash - Winningback | Shopping and Finance Blog, Reclaim your finances today! A few days ago I found myself taking the dreaded trip up into the attic to fetch down the Christmas decorations. The kids were clammering, the ladder was shaking and my morale was at an all time low. It was officially Christmas time again, the grey site of the dusty boxes and the lonely tinsel poking out of them made the whole thing a devastatingly unavoidable reality. Once the tree, the baubles and the Christmas lights had gone up and the children were thoroughly exhausted I went back up into the attic to stow away the decorations containers until I’d begrudgingly go back up to fetch them a month later. It was on this second trip up that I noticed simply how much “stuff” had been accumulated up there over the years. Every time something had served its use, was getting in the way or had become obsolete in some fashion I’d simply stash it away up in the attic. Sweeping my problems on top of my ceiling as opposed to under the carpet as it were. From old games consoles to unused pieces of furniture that had been replaced by newer, swankier models downstairs. Some of this furniture I simply donated to the local charity store but some of the other pieces that looked like they may have had some value I took down to an antiques shop in town. While some of it wasn’t worth much other pieces fetched up to £50, which was surely better than any impending Christmas present surprises! After the success of this venture I found myself full of festive cheer and decided to try my luck with some of the other items sitting around in my attic. There was my old xbox gaming console there, complete with a horde of games so I decided to sell my xbox and also sell my wii for some cash. While the money I received for this wasn’t quite in the same league as the antique items the knowledge that somebody else was going to be putting the machine to good use was good enough for me (and if that’s not me getting into the Christmas spirit then I don’t know what is). The selling didn’t stop there, old skiing clothes that no longer fitted my children fetched a tidy price online due their extortionate value first hand in stores. I’d also managed to sell on an old bowling ball! I’m aware that some people are eBay crazy, but it’s never quite been for me. I was able to sell all of my stuff either online or locally through other outlets at prices that suited me. Why not try it out yourself this Christmas season? Anything that can help line your pockets in preparation for the post-festivity sales is a good thing in my eyes.